We carry all kinds of golf Team Gear , including golf balls, bags, towels, head covers, and umbrellas. Our attractive gift sets, which consist of a towel, two balls and markers, and 15 wood tees, make the perfect gift for the aspiring professional golfer in your life. Our collegiate golf gear comes decked out with the school colors, logo, or mascot of your choosing. We stock designs from 68 different NCAA affiliated schools, including: University of Alabama, University of Texas, UCLA, Duke University, Stanford University, University of Michigan, Michigan State University and much more! 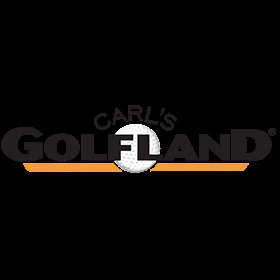 Whether you're a #1 fan, current student, alumni, or a proud parent, get your Team Gear from Carl's Golfland. Be sure to check out our Clearance sections while you're here!